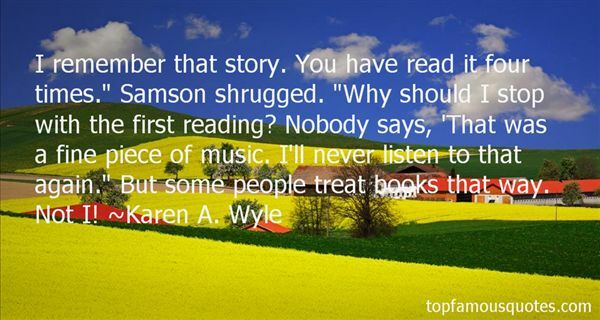 Reading and share top 1 Karen A Wyle famous quotes and sayings. Browse top 1 most favorite famous quotes and sayings by Karen A Wyle. They faced each other at opposite ends of an illusion."